Boek nu uw vliegticket, hotel of huurauto goedkoop en snel! 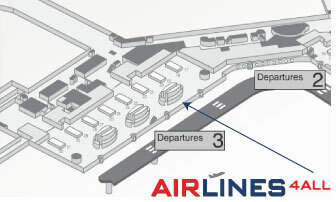 Airlines4all has its own ticket counter at Schiphol in Terminal 3, to the right of the hall, opposite the entrance "C" and the "Information Desk" there. To the right you see a small map of Terminal 3 with an arrow to our desk. We will meet you there with pleasure! Airlines4all is the cheapest site for your airline tickets to destinations within and outside Europe, complete with hotel reservation and car rental. We not only compare the ticket prices of regular scheduled airlines, but also low-cost carrierss, charter flights and special offers. We sell tickets for all airlines, including Austrian Airlines, Bulgaria Air, Air France, Czech Airlines, Iberia, KLM, Türk Hava Yollari, Royal Air Maroc and many others. You can either pay online or cash at our desk at Schiphol. Specially for travelers to Eastern Europe we have Russian and Bulgarian-speaking staff and unbeatable prices to Sofia, Varna and Burgas, possibly from Eindhoven and Brussels as well. Combined with Skytours, Airlines4all provides various all in tours in the best hotels. Now we have an action for the sunny Egypt. 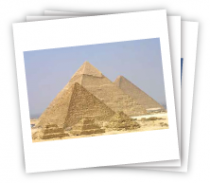 Egypt has evolved over time into one of the most popular holiday destinations for the Dutch people. The fantastic climate throughout the year, the pleasant temperatures and plenty of sunshine, the fascinating history, the incredibly beautiful and easily accessible underwater world, the wide range of hotels and resorts, from basic to luxury in many places as well as the all inclusive hotels, ensure that a vacation in Egypt for many is an ideal holiday. Look for the best deals in Egypt on the website Skytours. When you travel, it is wise to insure yourself. If you go frequently on vacation or a weekend holliday, we recommend to take a continuous travel insurance. If you do not go often on holiday (less than 2 times a year) then the most suitable insurance for you is the single travel insurance. Make sure you are not double insured. Some times a continuous travel insuarance is included in your general insurance or health insurance package. In this case no additional travel insurance is needed except if you have special needs. If you travel frequently then a continuous travel insurance is probably a good and cheap solution for you. 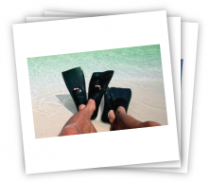 Are you up to twice a year on vacation (including weekends away) you can choose a travel insurance per holiday. Airlines4all can take care for your parking problems concerning your holiday for a very competable rate. 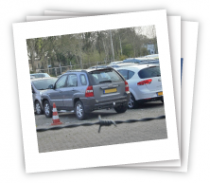 Our partner VliegParkeren.nl manages a total of 1,700 parking spaces around Schiphol and provides excellent service. 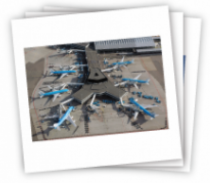 Our staff will help you with your bags and ride you in the shuttle bus to and from Schiphol. You park your car in front of the door and leave the keys to our driver. The shuttle bus is on request so you never have to wait. This are also fgacilities for children and handicaps. Conditions: Minimum stay 3 days Maximum stay 22 days. Book and pay at least 7 days before departure. Discounts: children under 12 years 25 eur; Babi's pay 10% After payment cancellations and / or changes are not possible. You can make a cancellation insurance with us. For bookings call 020-6401861 or 0617738871. Special fares are subject to confirmation and/or changes on ailrines discrepancy.